Hello, I'm 22 and I live in the Pacific North West. I've been flying RC ever since I was a kid and I've been interested in getting into FPV for a long time now, but it always seemed a little bit too technically complex for me to get into. 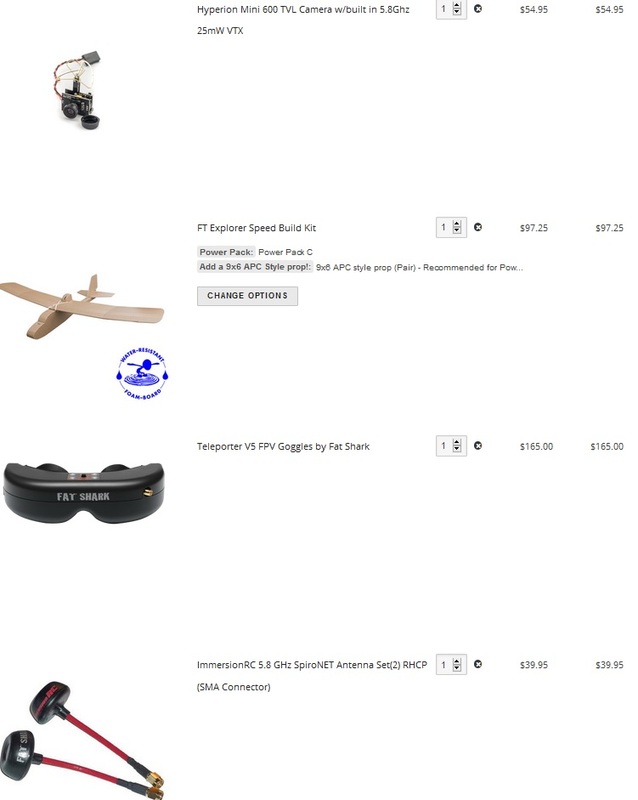 But now with FliteTest making everything you need available in their store I thought I'd do some research and give it a shot and build an FPV plane. I'd like a model that can fly slow and it's main purpose will be exploring places like parks, so I'd also appreciate advice on picking the best FT model for that or tuning a FT Explorer for that purpose. Does it look like this will all work when put together? P.s. I'm brand new to the forums so I hope I'm following the rules and this is the right place to post this. I answered this in your first thread (which was also in the FPV forum, right place, yes I think) asking this same question, so I'll just post it here too. The list you have in your first post should work so long as the goggles are SMA style connector like the antennae. The camera/transmitter antenna should also be RHCP aka "Right Hand Circular Polarized" to match the antennae you've chosen. Don't forget you'll need the power system/electronics for the plane itself, and 25mW is fine (WITH GOOD ANTENNAE) as long as you don't expect to go more than a football field away from yourself. There are LEGAL REASONS to keep your video transmitter power low, please refer to your local laws about transmitter output power.